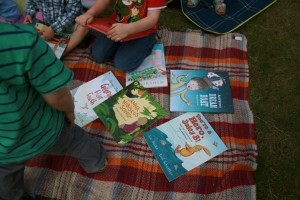 We were thrilled when Walker Books asked us to be part of their Picture Book Picnic blog tour this year. The idea behind the picnics and the blog tour is to promote the concept of sharing and enjoying books and it’s something which I believe very strongly in. As a child I absolutely relished the opportunity to read and discover all manner of new books and it still excites me to discover new books whether they are for adults or children. I share this passion for books with the girls in my book club and fortunately for us, we all have children who are five or under. 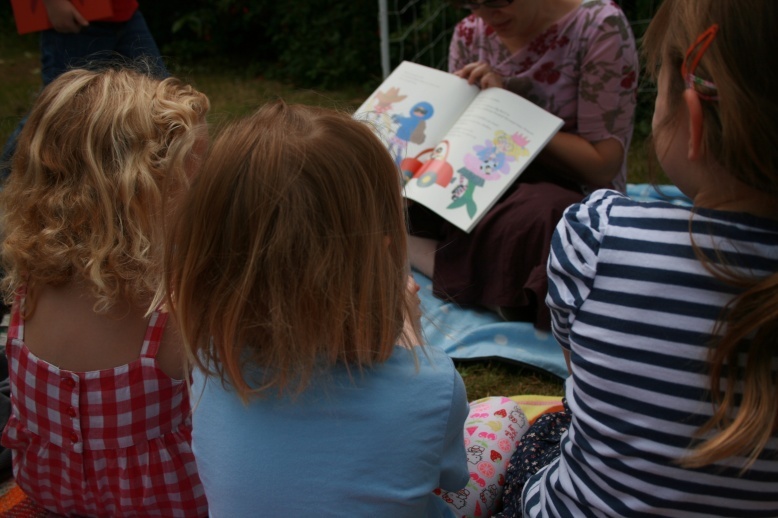 It seemed like a match made in heaven to use the excuse of a Picture Book Picnic as a way for us all to get together and test out the potential of a children’s book group. 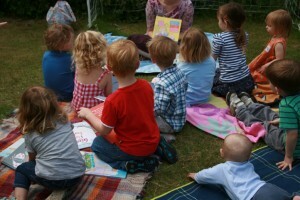 It worked perfectly, the kids read and discovered loads of new books (you can find the list here), they had a good play, we ate loads of picnic food and had a genuinely fun lazy lunch. 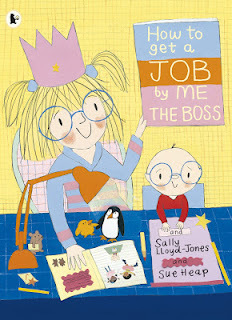 Part of our challenge was to read How to Get a Job by Me The Boss by Sally Lloyd-Jones and Sue Heap, so we chose this book as the one to read before lunch. Ten out of thirteen children sat there totally enthralled by the book which is brilliant; full of humour and things to think about and discuss. My children like the page which tells you what you need to do if you are to become a magician. I love the idea of writing a book called ‘How to Know EVERYTHING’. Despite being quite a bit longer than most of the books we usually read to the kids, this is a really enjoyable book. In fact. 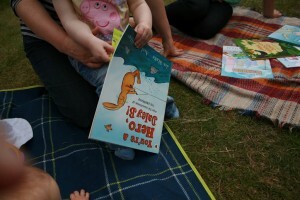 one of the children even asked to read it again during the picnic. Theres a fab interview with Sally Lloyd-Jones here. One of the things we did was to lay out all the books on a picnic rug for the children to have a look and decide which books they might like us to read to them, this worked exceptionally well. Each child finding the books and either reading them to each other or asking an adult to read them. the beauty of children’s books is in the illustrations a two year old can ‘read’ the book to the babies, a slightly older child can read to the younger ones, or an adult can read the books. Of course, with whoever reads the book comes a slightly different experience of it. Just brilliant. This was a really popular book! For us, the whole picnic was a total success and we are hoping to do one a month for the children. 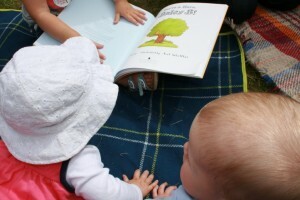 The intention being that we all bring along our favourite books for the children to read and discover. It strikes me that this is also a perfect way to hold a children’s birthday party, why not buy each child a book instead of the usual party bag tat and use them to hold the picnic? Of course, it’s not all education, you could dress up as characters from your favourite book and act out some of the stories. If you fancy holding your own Picture Book Picnic there are loads of ideas and resources on the Walker Books Picture Book Picnic website. It was an awesome day and will no doubt prove to be one of the highlights of the summer.